CENTRAL MEDITERRANEAN - 12 August, 2018 – Responding to the ongoing humanitarian crisis in the Central Mediterranean, a total of 141 people were rescued on Friday by the search and rescue vessel Aquarius, chartered by SOS MEDITERRANEE and operated in partnership with Médecins Sans Frontières (MSF). Both organisations are now calling upon European governments to assign the closest place of safety without delay in accordance with International Maritime Law so that people rescued at sea can be disembarked and Aquarius can continue providing urgently needed humanitarian assistance. 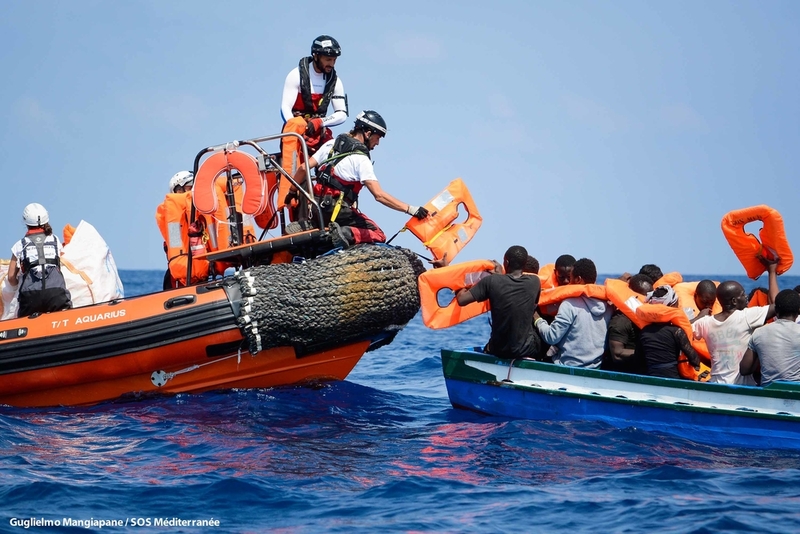 On Friday morning, 10 August, Aquarius rescued 25 people found adrift on a small wooden boat with no engine on board. It is believed they had been at sea for nearly 35 hours. Later that day, the Aquarius spotted a second overcrowded wooden boat with 116 people onboard, including 67 unaccompanied minors. More than 70% of those rescued originate from Somalia and Eritrea. While the medical condition of those rescued is stable for now, many are extremely weak and malnourished. Many report that they were held in inhumane conditions in Libya. On Friday, 10 August 2018, 25 people were rescued in the Central Mediterranean near the Libyan coast. The rescued people were found adrift on a small wooden boat with no engine on board and were believed to have been at sea for nearly 35 hours. During both rescue operations, the Aquarius informed all relevant authorities of its activities, including the Italian, Maltese, and Tunisian Maritime Rescue Coordination Centres (MRCCs), as well as the Libyan Joint Rescue Coordination Centre (JRCC), which stated it was the coordinating authority for the rescues. The Libyan JRCC informed the Aquarius that it would not provide a place of safety and instructed Aquarius to request a place of safety from another RCC. In any case, Libya is not recognised as a place of safety. People rescued in the international waters of the Mediterranean must not be returned to Libya, but should be taken to a place of safety, in line with international and maritime law. As such, the Aquarius is now heading north to request the closest place of safety from another RCC. Those rescued originated from Somalia, Eritrea, Cameroon, Ivory Coast, Egypt, Morocco, Senegal, Togo, Ghana, Bangladesh, and Nigeria. 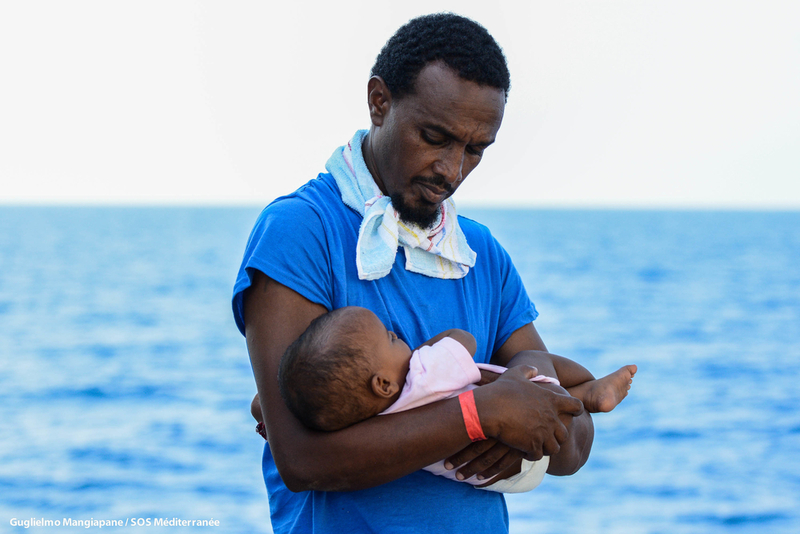 While there were no critical medical cases among those rescued, many people were extremely weak from being out at sea on unstable boats and from their time in Libya where many say they were held in inhumane conditions. In a disturbing development, rescued people on board told our teams that they encountered five different ships which did not offer them assistance before they were rescued by Aquarius. “It seems the very principle of rendering assistance to persons in distress at sea is now at stake. Ships might be unwilling to respond to those in distress due to the high risk of being stranded and denied a place of safety. Policies designed to prevent people from reaching Europe at all costs are resulting in more suffering and forcing those who are already vulnerable to take even riskier journeys to safety” said Vimard. 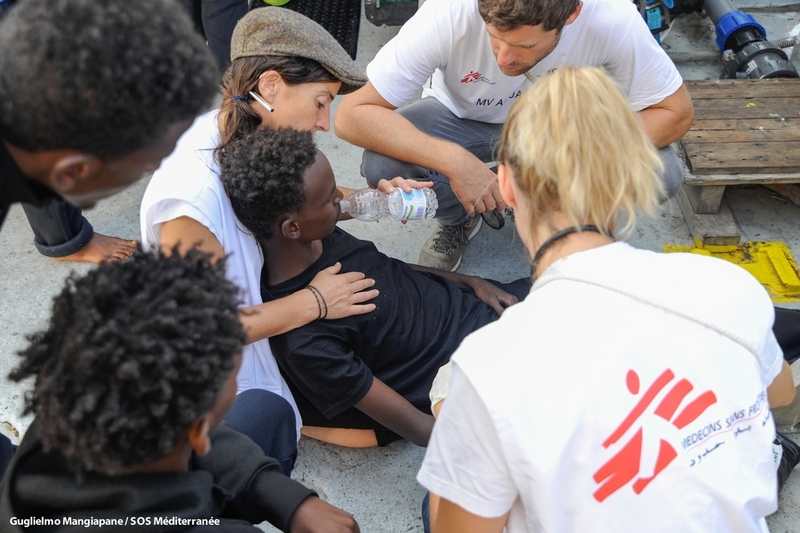 MSF and SOS MEDITERRANEE remain extremely concerned about European policies that hinder the provision of humanitarian assistance and which have resulted in a skyrocketing number of deaths at sea in recent months. The Aquarius is now one of only two remaining humanitarian search and rescue vessels on the Central Mediterranean. The criminalization and obstruction of humanitarian organisations reflects the larger problem of a broken European asylum system and the failure of the EU member states to relocate asylum seekers who arrive in Europe. SOS MEDITERRANEE and MSF call again on all European governments and their relevant maritime rescue authorities to recognise the gravity of the humanitarian crisis in the Mediterranean and grant quick access to the nearest place of safety and to facilitate, instead of impede, much needed lifesaving humanitarian assistance on the Central Mediterranean.